Thanks Nelson for the photo. Tūrangawaewae is one of the most well-known and powerful Māori concepts. Literally tūranga (standing place), waewae (feet), it is often translated as ‘a place to stand’. Tūrangawaewae are places where we feel especially empowered and connected. They are our tūranga, our kura, our akonga, our wānanga. ACCoS stands for the Auckland central community of schools. We are one of several Communities of Learning from around New Zealand. We are made up of 11 schools ranging from several primary schools up to year 6, some full primary schools year 8, two intermediates and one secondary school. We also have one kindergarten in our cluster. We are funded for 9 across school teachers and 43 in school teachers. We have a lead school and lead principal. In addition we have two other sub lead principals and one external facilitator. Together we serve 8, 145 students and their whānau. When we look over our data our ethnic mix highlights that we have a strong Asian student group and a growing number of learners who are ESOL funded. Before ACCoS was formed our local principals met on a regular basis as part of various local principals’ networks. These networks varied in their work, some focusing on what was happening in their schools at a reasonably surface level, others, like the Learning and Change Networks, Mutukaroa, and ICT Clusters, focused on student learning. Most of our school leaders had positive experiences of working with each other and had developed strong professional connections. However since ACCoS was launched, our principals are now meeting much more regularly and sharing more than just ‘stories.’ They are learning much more together with and from each other. The connections appear stronger and there seems to be a greater sense of supporting each other. I witnessed this with the arrival of two new principals to the group and the support that they received. There are stronger links forming between the schools as was recently evidence between our school and a nearby school coming together to share strategic planning. Other schools in the Community have had a shared parent hui. And, members of boards from all schools recently met together to gain a greater understanding of the working of ACCoS. Relationships appear to be developing between our schools at a much deeper level. In addition synergies are happening across the network as our intermediate school and college begin to share ways of providing more relevant and diverse transition information. Primary schools are looking at more effective and consistent ways of passing information to our intermediates, in particular, utilising technology. We are also fortunate to have a kindergarten in ACCoS as the transition to school is another area of focus. Our lead principal called a meeting for local principals after the call for community of learning were publicised as part of Improving Education Success (IES). All of the local principals were asked, however a few were against the concept for a variety of reasons. Myself I cannot understand why because of the exciting pathway of where this collective inquiry could lead. Recently I presented at Ulearn and my topic was Community of Learners. I have always had a fascination with communities both digital and face to face. I have built several just because I believe sharing and working across schools is important and rather than just talk about learning, I have always created my own. For my current position as an across school teacher in the Auckland Central Community of Schools, I applied for the specific role of building the ACCoS community digitally` and ensuring that learning taking place in our CoL is transparent. The current challenge I experience with our ACCoS Community is the varying levels of experience and skills of our across school teachers. We have all been chosen for a variety of reasons and as with other new groups we must learn to work together collaboratively and be inclusive of the strengths of all members. Currently we are settling into our roles, and any rub is positive. I find it useful to work with others who think quite differently from me as this helps drive my own thinking deeper. I was selected several terms after the initial teachers were selected because of my recognised and proven ability to utilise technology to build professional learning communities. As well, I have proven ability to use technology to strengthen data analysis and have an online record of building capacity in others through collaboration. The key message coming through our ACCoS is influenced by the work of Michael Fullan who speaks about leading from the middle. My understanding of leading from the middle rests with the principals within the cluster, and also the lateral leadership of the in school and across school leaders. Principals are in the middle with education policy, which influences the work we do at one end, and learners and community whom we serve at the other end. As across school teachers we support the principals as together we implement our cluster’s vision. In my new role I have to keep reminding myself of the focus of what I was brought in to do. As with any new network our work seems messy as we we act, probe and reflect on our actions, iterating ways of working. Cynefin link. Our across school teachers have expertise at capacity building and that is why we were chosen. We are beginning to identify what our roles look like. I am a ‘fix it kind of a gal’ who loves solving problems and streamlining systems and have built a name for myself for building communities in the digital world. For me to hold back and build capacity through listening is an enormous challenge. I sit in the meetings and try really hard to just listen. I find that challenging because I believe I already know instinctively why we are together and what we need to do. Therefore I have taken to blogging my thoughts to try and make sense of it all. Our across school role is about collaborative inquiry and in order to carry that out, what we do is promote best practice. These best practices have been highlighted in our national goals as cultural competency, transition support, community engagement, pedagogy and teaching practice. Our ACCoS group is guided by our achievement challenges set in 2014 which have been taken from our National Standards Data. When we unpack these goals they are underpinned by the low performance we have with our Maori and Pasifika learners. 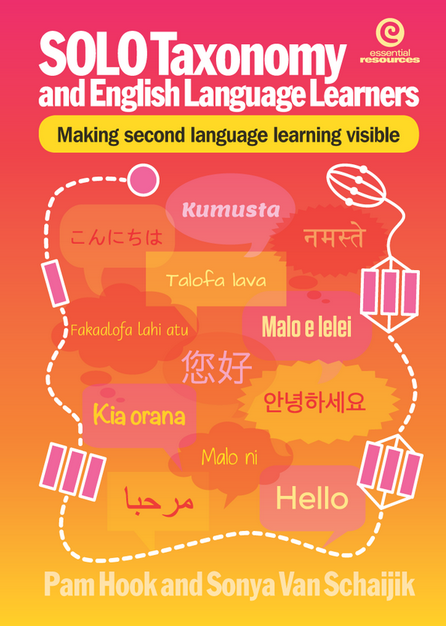 As an ESOL trained teacher who has recently published a book about writing and second language learners, being part of ACCoS is like the stars are aligning. It is like acknowledging what we have done has only worked to an extent but we can do better. By going into something different we want to make a greater difference. What we have always done is no longer good enough. One of the first things I did in my ‘fix it mode’ was to collate all the schools national standards data in one place and make these transparent across the schools. I then asked for all the ESOL data to be added because I had already predicted that the numbers would impact our longitudinal data. Our achievement goals have been predicted for the next three years, however I know from the research of Thomas and Collier that we really won’t see much change in the data until at least 7 years have passed because it takes 6-8 years for academic proficiency to happen in our children’s second language. I have often wondered how my learners have achieved after they leave us. For the first time in my teaching career I will have the opportunity to find out. I can also find out if my predictions for the children I taught came true and that they surpassed their peers at secondary school. I always told them that they were race horses and they begin at the rear against first language learners but by the time they get to secondary school they will be up at the front. I always wondered if the grounding we give our primary school learners, the sense of urgency we instill in our teachers about our learners and the close monitoring of data really does pay off by secondary school. The in school teachers are at the coal face, and are a key part of our large community of learners. Our in school teachers are scattered across the community and come together to discuss and identify strategies for learning that will make a difference. One group I have been involved in has been Year 3-4 writing. Together we have learnt that across the schools our systems at identifying levels are not yet aligned and we are working on that. I recently collated our historic ethnicity data and this shows the fast changing face of our Auckland Central Community of Schools. We have recently surveyed our in school teachers about how the first ACCoS year has gone for them and one of the ways I have in unpacking written narratives is to wordle what is written and identify any key words that spring out. Straight away I can see that as a cluster we have yet to acknowledge the pivotal role and effects on learning that families and communities have on our learners. Particularly when making sense of the fact that our learners get 1000 hours with us in school and 5000 with their families and communities. Because we are working with one of our local secondary schools, this also influences who and what we do. For example their teaching inquiries focuses on strategies that impact on learning. These include Learning Maps, English Language Learners, G&T, SOLO Taxonomy, scholarship, Wellbeing, Mindfulness and Agency. At the primary level our inquiry is centred around writing as we have noted writing as an area for improvement. Therefore the connections we are making across sectors enable us to see ourselves in a mirror as we see ourselves how they see us. The extra exciting advantage of being an across school teacher allows me to hear the schools narrative from the in school teachers themselves as they share their learning. Agency features strongly in our Achievement Goals. The central diagram of our document features Parent Agency, Teacher Agency and Student Agency. The document looks at agency that underpins ownership of learning and has still to address agency as citizenship especially citizenship which focuses on contributing to society and making a difference. But that element of agency is beginning to surface as schools look carefully at experiences for learning for our second year. Celebrating our successes builds community. How many of us in our ACCoS schools have second language training? Dip Tessol, TDPL. Even something as basic as CELTA? How many of us are trained in transition between year levels and sectors? How many of us speak an Asian language which are the dominant languages of our learners? How many of us are skilled at utilising communications technology in our pedagogy? How many of us have Google Certification, even at stage 1? In ACCoS we have utilised Google Docs, Google+ and Google Calendar to ensure that our systems are transparent. Not all schools have the same Learning Management System and Google was able to be utilised by all ACCoS members. Not all our schools had Google domains, so that came with some challenges. Some schools have KARAZY wifi systems but somehow or other the schools want things to work and work hard at making it all work. We have now moved fully into online communication because email does not curate information as successfully. This concept comes with mindset challenges as our teachers rethink the way they have usually carried out sharing. Our lead principals have formed connections with other groups of COLs and recently shared some of our success and FAILs. I continually remind them about collecting visual artefacts from these meetings, for example, where are the photos of the recent sharing for our narrative? In the scheme of IES we were one of the original 14 CoLs and therefore we are in a position to share some of our hurdles and some of our highlights. Overall in our community of learners, the sense of tūrangawaewae is broadened into the Auckland Central Community of Schools and located within Improving Education Success. To find out more about our journey you can check out our ACCoS across school teacher’s blog. Our blog is a window and lets you have a view of some of what we are doing.